The women of ancient Egypt and Arabia enjoyed considerable independance. Islam has changed what appears to have been a more independent life for women before about 600 A.D. Mohammed's wife Aisha was regarded as a prophet in her time, though this is not stressed in Islam today. The segregation and control experienced by Arabian women today, and the neglect of their accomplishments, is the result of the spread of Sharia more than of the universal oppression of women. The present circumstances do not represent the conditions of women in pre-Islamic times, at least not the conditions of women who were the descendants of the Horites living in the kingdom of Nabataea. Saudi scholar Hatoon al-Fassi argues that women enjoyed more rights in the Nabataean (Horite) kingdom than in Saudi Arabia today. She argues women in Nabataea were free to conduct legal contracts in their own name with no male guardian, unlike in Greek and Roman law, and in Saudi Arabia where the guardian (muhrim) must accompany women in public, when they travel and when they attest legal contracts. "I found that with Nabataean women the legal status and self representation was stronger and more evident than with Greek women who needed always a 'tutor', or representative, in order to conclude any contract," Fassi said in an interview. In ancient times, Egyptian women had "nearly identical" legal status to men, according to Janet H. Johnson, professor of Egyptology in the Oriental Institute and department of Near Eastern languages and civilizations at the University of Chicago. Ruling women were constrained by obligations of state, but they held a high status in ancient Afro-Arabian society. The world's earliest known woman physician practiced at the time of the building of the great pyramids, about 2500 BC. Her name was Peseshet. A monument dedicated to her was found in the tomb of her son Akhet-Hetep. The monument identifies Peseshet as "Overseer of Women Physicians." Tiye, the Nubian wife of King Amenhotep III (1415 to 1340 BC) was the grandmother of King Tut. Her husband erected a palace and a white sandstone temple in for her in Nubia. She lived at that palace and also at the Thebes palace from which Amenhotep III ruled Egypt. 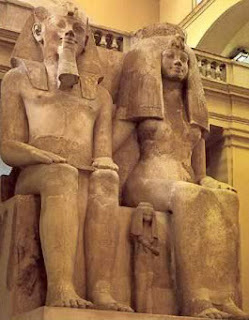 King Amenhotep III described his wife as "the lady of grace, sweet in her love, who fills the palace with her beauty, the Regent of the North and South, the Great Wife of the King who loves her." Amenhotep III's refusal to allow marriage between his daughter and the Babylonian monarch may reflect concern to protect the throne since the firstborn son of a royal daughter could ascend to the throne of his maternal grandfather. It also may reflect the practice of clan endogamy by which marriages were contracted exclusively within the ruling family. This practice characterized Abraham's Horite people. Among the Horite ruler-priest caste, the chief ruler or king had two wives, both belonging to Horite clans. One wife was a half-sister (as was Sarah to Abraham) and the other was a patrilineal cousin or niece (as was Keturah to Abraham). These were women of high status and considerable wealth. Social pressures and contractual agreements protected them from abandonment by their husbands. The contracts were worked out between the ruling fathers (patriarchs). Contracts were deliberated in the council house or the "father's house," a term found in Genesis 38. Here Judah tells Tamar to return to her "father's house" and remain a widow. This was not Judah's decision to make, but he apparently assumes that Tamar's father will agree to not to contract another marriage for Tamar. This may have been in the original marraige contract. Since the Horites intermarried exclusively, Judah and Tamar's father were probably kin. Tamar found a way around this by using her status to presume upon the shrine tenders. The shrine may have been that of her own father, since it appears that he was a priest. This is why Judah orders that she be burned, the form of execution reserved for the daughters of priests. The father's house has a feminine counterpart which is referenced in the book of Ruth where Naomi tells her daughters-in-law to return to their "mother's house." Here it is clear that Naomi desires for them to remarry. The terms "father's house" and "mother's house" likely have a very old African context. The typical African village is arranged around the chief's hut which is the largest residence in the village and the palce where the men meet to deliberate important business. 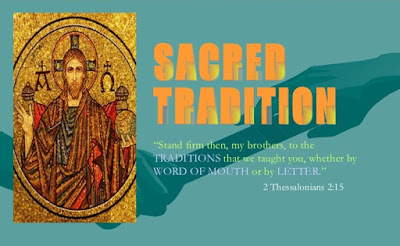 Since all those called to deliberate are married men (elders) they are often called the fathers and the chief's house is called the "father's house." The chief's principal wife is "chief" over the other wives and all the women in the village. She has her own residence, also larger than the residences of the other villages. When the married women who are called "mothers" need to meet to discuss matters that pertain to them, they meet in the "mother's house." This pattern of councils for married women and men characterizes the Bedouin of Arabia, Syria, Jordan, Egypt and Libya. Among the Bedouin, "any misbehavior against a married woman receives double to 4 times the punishment awaiting a man under similar circumstances." Didn't Islam eliminate female infanticide amongst the Arabs? I'm not sure, Dharmashaive. Pre-Islamic laws in Arabia forbade killing one's children, except under certain circumstances: rebellion against the father's house and as a binding oath. These persist in Islam, so I'm not sure. It is difficult to sort out what Islam brought (which is not uniform) across the Islamic world. Do you have a source that claims this to which you could refer me? "There is no male or female in Christ." is often used to justify the female priesthood. Since this is seen as a spiritual rather than a physical reality. The answer is found in what Paul means by the expression "in Christ." He didn't imagine a female priest, that's for sure. It's a common understanding that female infanticide was very common in pre-Islamic Arabia, and that Muhammad sought to stop the practice. He was mostly successful. "In the Qur'an infanticide is mentioned in five suras (81, 17, 16, 6, 60), the first four of which are of the Meccan period. The context as well as the content of the verses dealing with the practice indicate that infanticide was prevalent in pre-Islamic Arabic society and,that Muhammad regarded it as a grave sin and its prohibition as one of Islam's principal regulations." Thanks, Dharmashaiva. That's very helpful.